Man. It's been a while since I got around to making a kids' media post. For a minute there I thought that I might have said all of the things about kids' media that I had to say. But I was wrong! Of course I was wrong! I genuinely have trouble imagining a world in which there are not more things to say! 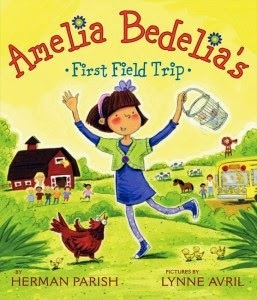 So today I want to talk about the Amelia Bedelia books, and how they went from a series that helped early readers but kind of just recycled the same tired joke, to a series that is still all about helping early readers, but seems to be intentionally addressing neuroatypicality. And that's a pretty cool transition. The books as I remember them from my childhood were fine, but nothing super memorable. Written by Peggy Parish between 1963 and 1988, the books featured a lead character, Amelia Bedelia, who was endlessly literal. If asked to dust the living room, she'd find some dust and sprinkle it everywhere. If asked to draw the curtains, she'd sketch out a lovely still life of them and present it to her bosses. When asked to create baby food, she'd just make tiny versions of normal food. Her one saving grace as an employee (she was a housekeeper, complete with a cute little uniform) was that she was an amazing cook. So she miraculously never got fired, despite being almost dangerously incompetent. In the original books, the implication in this is that Amelia Bedelia comes from a family of people who take everything literally. They talk about "undusting" the furniture, and make sure to elaborate on every request in order to avoid misunderstandings. Eventually her employers, the Rogers, catch on and help her with this, and the whole thing is silly, but at about the right level for a kid just learning to read. It's fun, none of the words are too challenging, and you kind of want to keep reading so you find out what she does next. What more do you need? After Peggy Parish's death in 1988, however, the series was taken over by her nephew, Herman Parish. He started writing in 1995, and from then until 2009 he wrote pretty much the same usual stories. In 2009, though, he decided to start writing more traditional children's books about Amelia Bedelia as a little girl, and those are the books I want to talk about today. See, the premise is still basically the same. Amelia Bedelia (now about six or seven years old) is an incredibly literal child who will misunderstand pretty much any direct instruction unless it is sufficiently explained to her. But the twist here is that it's not presented as a frustrating inconvenience to her coworkers, nor is it really explained as just "because her family is weird." It's a part of who Amelia Bedelia is, and the people in her life, her teachers and fellow students, accept that. In other words, the original Amelia Bedelia character was kind of comically terrible at everything, but the new Amelia Bedelia really isn't. 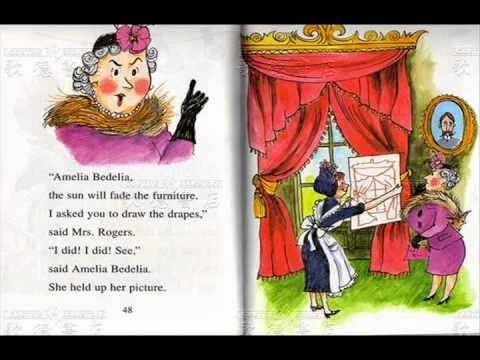 It's much more clear that Amelia Bedelia's literalism is a big part of who she is and not a result of intentional mishearing or not being a native speaker of English (as some people theorized). No, the most common interpretation of her character is actually that she's probably on the autistic spectrum. And when you think about it, it makes a lot of sense. Now, I'm not an expert on autism by any means. I really know very little about it. But I do know (having had several students with high functioning Aspergers and having nannied a boy with rather low functioning autism) that literalism is a big part of how autism usually presents. 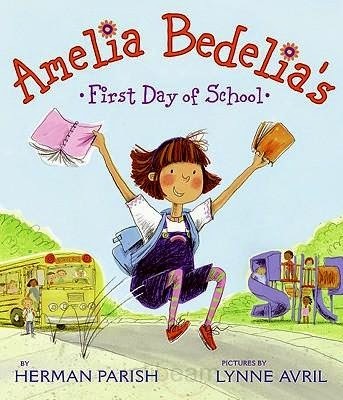 So Amelia Bedelia rather good-naturedly misunderstanding everything because she takes it literally seems like a rather convincing portrayal of a kid on the autistic spectrum. If you want a better explanation of why she's probably on the autistic spectrum check it out here. The point I'm trying to make isn't so much proving that Amelia Bedelia is autistic, that's a matter of interpretation. 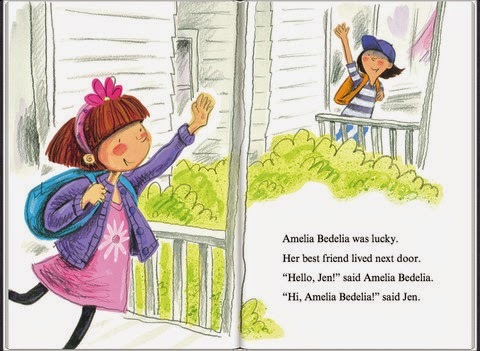 I'd more just like to point out that whatever Amelia Bedelia's deal is, the books treat her in an incredibly compassionate and loving way, especially the ones where she's a little kid. Like, in Amelia Bedelia's First Day of School, Amelia comes into school that first day, and her teacher tries to give her a nametag. Amelia thinks that her teacher wants to play tag, and immediately takes off running through the classroom. As a teacher, I would probably be super annoyed by this, but instead her teacher smiles and explains her mistake. Later in the day, Amelia is asked if she wants to jump rope, so she puts a rope down on the ground and jumps over it. The girls who wanted to play with her don't make fun of her or even correct her. They just start jumping over the rope too because it seems like fun. That's what I want to get at. No one in these books ever reacts to Amelia by telling her that what she's doing is wrong, even when it inconveniences them. When it's no big deal, they go along with it, supporting her. When it's something that needs to be corrected, the person always explains themself and helps Amelia figure it out. In other words, these books aren't about teaching kids on the autistic spectrum how to behave, they're about teaching everyone else how to properly interact with someone whose got a different perspective on the world. And that's freaking wonderful. Not only that, but the Amelia Bedelia books, particularly the ones where she's a little girl, give neuroatypical children a book hero of their own to look up to. Amelia Bedelia isn't ostracized or criticized in these books, she's the main character and everyone likes her. She has tons of friends, and no one minds that she's a little strange sometimes or gets confused. Everyone just smiles and accepts her. I can only imagine how much a book like this can impact a little kid who feels different and like no one understands. 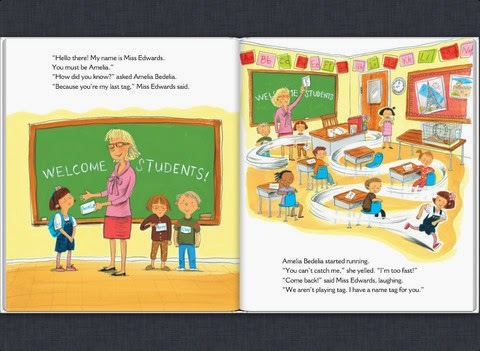 And even when the thing that Amelia Bedelia has done actually impacts other people negatively, like in Amelia Bedelia's First Field Trip when she's asked to toss the salad and she manages to toss the whole thing before her teacher can lovingly intervene, no one gets mad at Amelia for ruining their lunch. No one even comments on it. Instead, her teacher takes responsibility and everyone works together to make a new salad. What this says is that the onus isn't on Amelia to be better at understanding, but that the onus is on everyone else to work harder to be understood. And that's a really important statement. It gets away from the idea that you have to overcome your differences, and suggests that we should all be working to meet people where they're at instead of insisting they come to us. I've written before about how important I think it is for little kids to read books about children who are other races and nationalities and genders than they are. Well, the same thing goes for this. It's important for kids who are neurotypical to read about children who aren't. Stories and books are a huge part of how human beings develop empathy, and creating an environment where neurotypical kids can look at a literary character and see a totally different perspective on life is really valuable. More than that, though, the Amelia Bedelia books give those kids a framework for when they actually meet another child who is neuroatypical. If they've learned anything from the books, those kids would probably actually react really well, reacting with understanding and good humor to any misunderstandings and trying to make sure everyone always feels included. Isn't that what we want our kids to grow up like? This is, of course, still iconic.